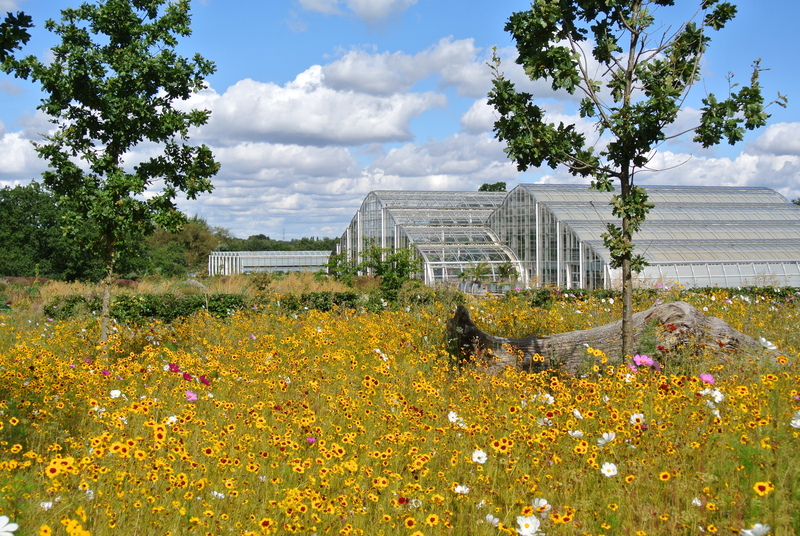 This week we went to RHS Wisley, it is only about half an hour from here on a good run and I wanted to join The Lindley Library, partly because our home is now overrun with gardening books and also because I thought it might be an inspirational space to work in. Given the gloriousness (is that a word?) of the morning we went for a walk first and strolling past the glass house came across this. Recognise it? 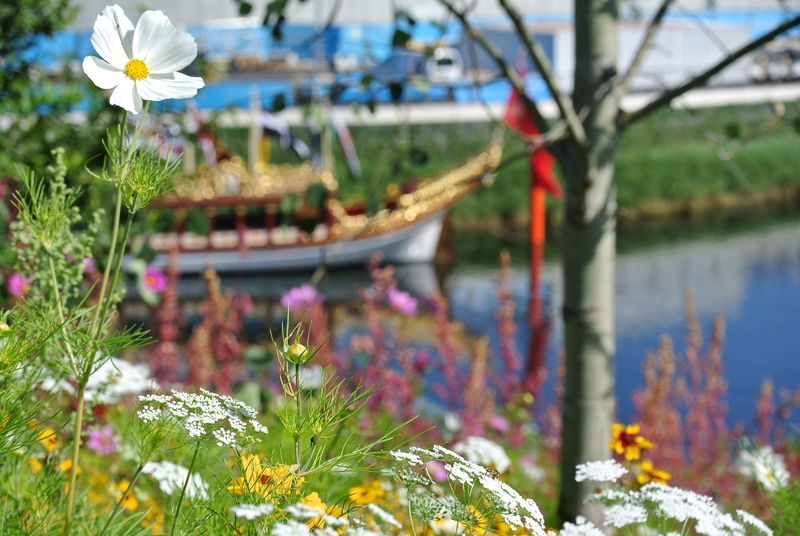 Here it is again a week previously in situ on Stadium Island at The Olympic Park with the Royal Barge Gloriana and the river Lee in the background. 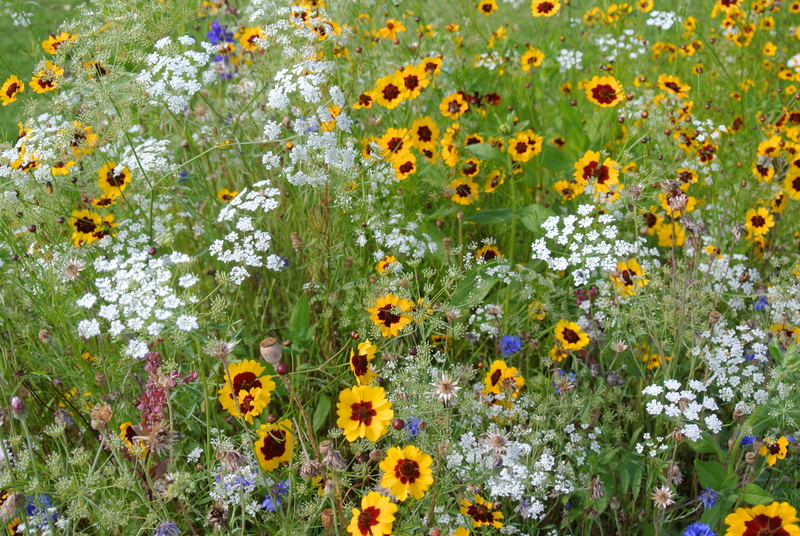 It is grown from a long flowering annual meadow mix developed by Professor Nigel Dunnett of the University Of Sheffield especially for the event. 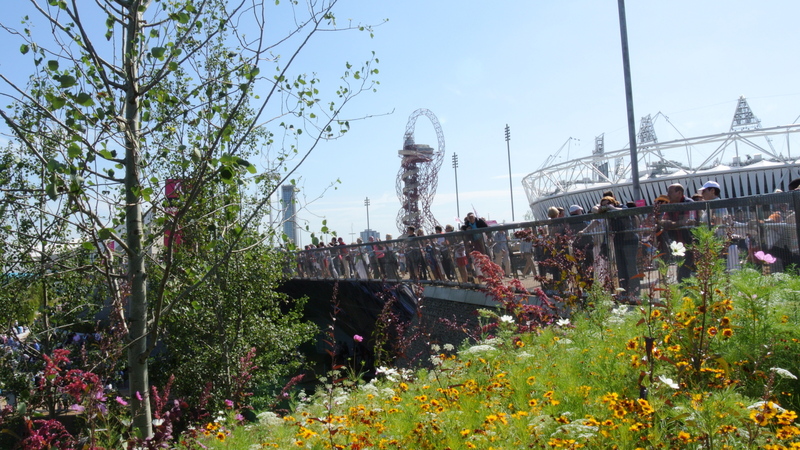 Designed to be low maintenance and long flowering it is also beneficial to wildlife and appropriately the area is called the ‘Olympic Gold Meadows’. The whole story including plant details can be found on Professor Dunnett’s website here. Thank you David. I think his website is amazing. So much care and thought about everything. Wonderful photos! 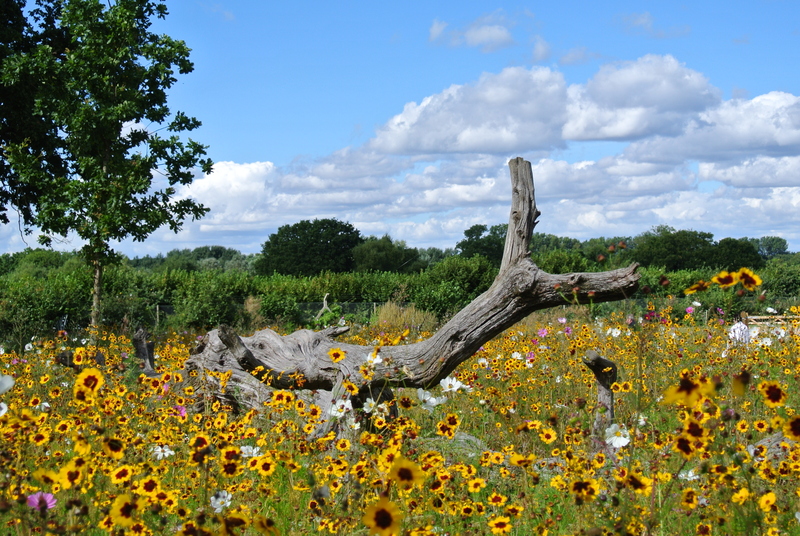 And thanks for the link to Nigel Dunnett’s site; I knew I’d seen his name before, he designed the ‘raingarden’ at London Wetlands Centre – which looks amazing and is definitely on my visit list…We’ve just had 4 hives arrive (friends needed a new base for their bees), so I’m particularly thinking about what to plant for early next spring that is bee-friendly! His website is just stunning, so much inspiration.